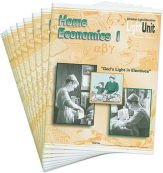 This 10-LightUnit course introduces high school girls to skills and knowledge needed to be godly wives, mothers, and homemakers. Many hands-on assignments provide practice in these skills. 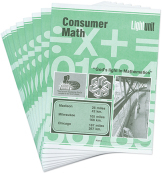 LightUnits 1-4 cover food preparation from basic nutrition to smart shopping to putting tasty food on the table. LightUnits 5-7 teach sewing from the basics of sewing machine operation to actually sewing clothing. 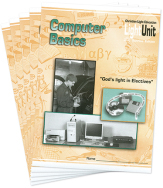 LightUnit 8 discusses how to keep a godly home clean and clutter-free. 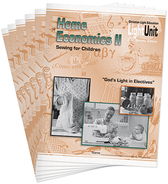 LightUnit 9 covers child development from birth to the preteen years. The answer keys for these LightUnits are included in the center of each LightUnit.